My friend found the inspiration for these cupcakes here. We didn't put much attention into detail. 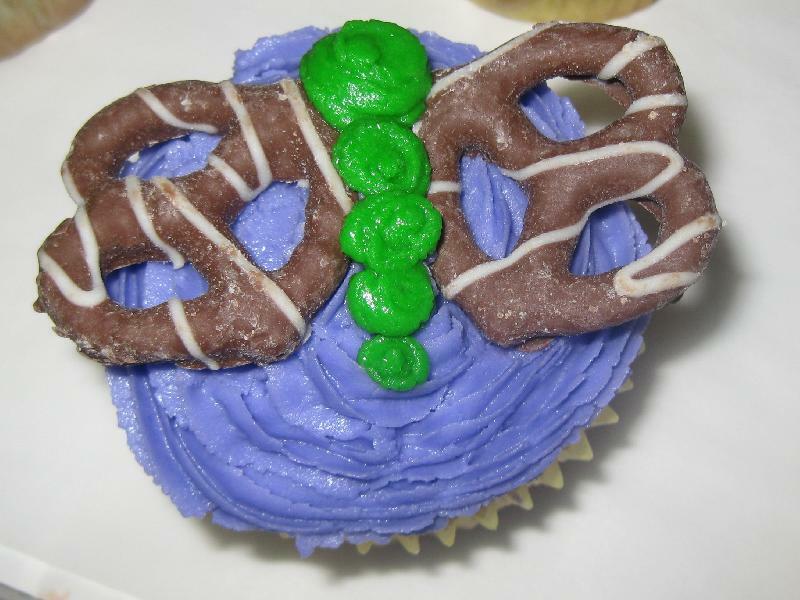 Set the pretzels on top of the cupcake. Use frosting to create small circles to represent the body.